Without the generous help of our supporters it would be impossible to host the festival. We want to improve all aspects of the festival, including what we can offer the filmmakers as well as the viewing public. We want to raise the profile of the festival and cement it as an internationally recognised event. We want to provide a great platform for emerging filmmakers to launch their careers. and screen exciting new films to our audience. The Norwich Film Festival is an excellent platform to promote your business while engaging new and existing audiences and supporting a registered charitable organisation dedicated to work across Norwich, the UK and internationally, along with supporting the festival to increase the range and quality of opportunities for people to be inspired by and engage with film. Direct association for your company with one of the most exciting and up and coming Film Festival’s in the UK. Fantastic brand and public exposure aimed at an audience of film lovers and film makers and a further online Social Media audience of over 17,000 people. Interestingly, during our 2018 we had over 2.5 Million Twitter Impressions. We feel this is something to shout about and with our increasing on-line presence growing we feel your business will benefit from this exposure. Plus during 2018 we distributed over 3000 tickets and expect a growth in our audience figures year on year. A public demonstration of investment into a registered charity which is supporting the development of film exhibition in Norwich. Access to a range of hospitality opportunities throughout the Festival for your clients, staff and customers. For example this could be providing free tickets to one of our many events. Finally, your company support will help the festival continue its growth plan with a view to sustaining a stronger film presence in not only the region or nationally but on a global scale. Norwich Film Festival is a registered charity ran by volunteers. As such, we operate on an extremely limited budget. All our income comes from submission fees, sponsorship and ticket sales with all the money being redirected towards the running costs of the Festival. If you would like to contribute to our cause and help maintain the festival for future years, you can donate, we’d love to hear from you. 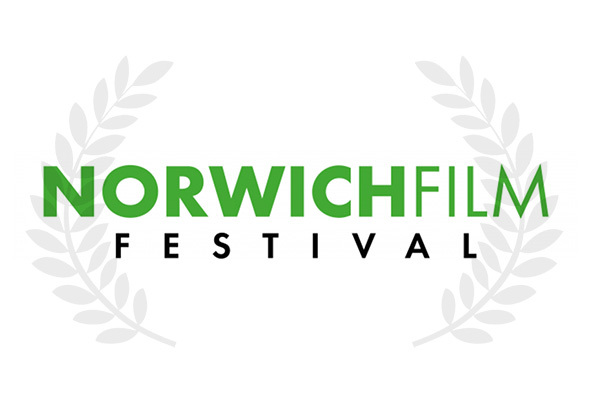 Please email info@norwichfilmfestival.co.uk if you would like to discuss donating to the festival. Thank you!